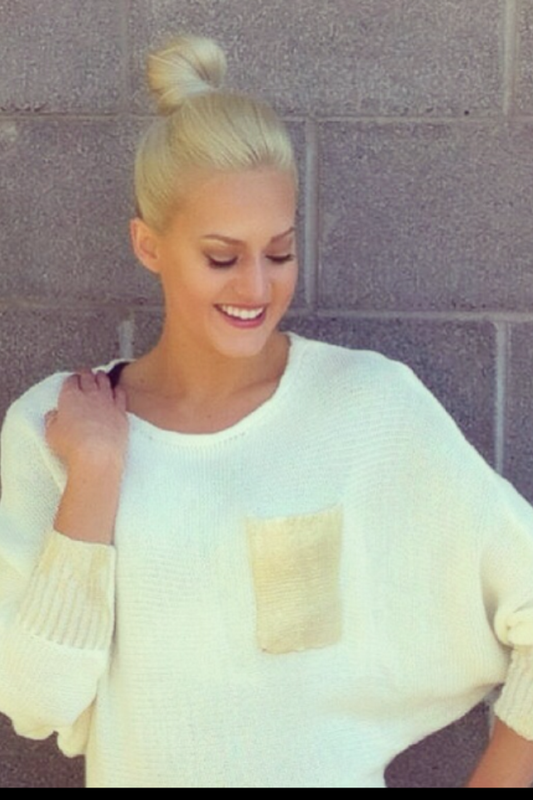 A must have fall essential to add to your fashion wardrobe is a slouchy cozy sweater. I cannot tell you how many dark gloomy and much dreaded school mornings I have woken up freezing cold and did not want to get out of my comfy sweats. But with a cozy slouchy glam sweater and a cute pair of pants, you can still be a warm cozy comfy fashionista! I have many large over sized sweaters but my favorite is this cream one because it has gold metallic accents, I have a slight obsession with gold glamorous things! What is your cozy go to outfit? It wouldnt let me like without creating an account, so her is my like!! Great outfit! Oh haha your so sweet thanks!